Dana Shell Smith, the US ambassador to Qatar, announced she is leaving her post on Twitter. Dana Shell Smith has served in Qatar for the last 3 years. 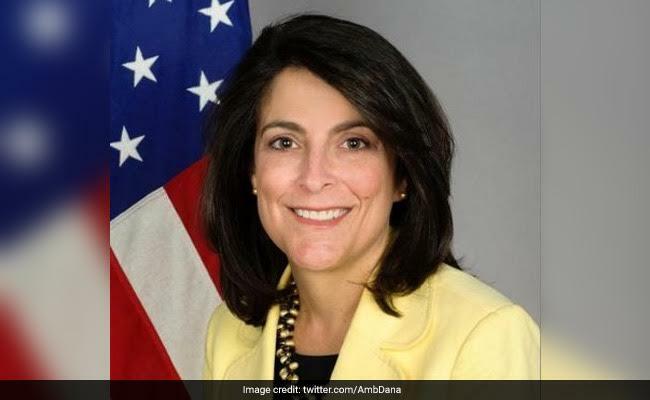 Doha: The US ambassador to Qatar said Tuesday she is leaving her post in Doha, in the midst of the worst diplomatic crisis involving America's Gulf allies in years. "This month, I end my 3 years as US Ambassador to #Qatar. It has been the greatest honor of my life and I'll miss this great country," Dana Shell Smith said on Twitter on Tuesday. Shell Smith did not say why she was stepping down, if she was staying within the diplomatic service or who would replace her. Many US ambassadors leave their posts after serving around three years. Her departure comes with Washington sending mixed signals over the Gulf crisis, which saw Saudi Arabia and several of its allies cut ties with Qatar claiming that Doha supported terrorist groups. Qatar strongly rejects the allegations. US President Donald Trump has signalled his support for the Saudi-led move but other US officials have been more cautious and called for dialogue to end the crisis. Shell Smith was appointed ambassador to the Gulf emirate by Barack Obama in 2014. Last month she appeared to express dissatisfaction with political events back home in another message posted on social media. She took to Twitter in the hours after Trump's dramatic sacking of FBI director James Comey, tweeting: "Increasingly difficult to wake up overseas to news from home, knowing I will spend today explaining our democracy and institutions." Qatar is home to Al-Udeid, the largest US airbase in the region, which houses around 10,000 troops.